My recent pinball updates have been infrequent, which isn’t common for me as I like to keep on top of them. Usually my updates sit around 1 -2 weeks behind my actual progress. The Sopranos machines have been coming along well and I have plenty of content to get more posts up – I’ve just been a little slack in writing. Not slack on the actually physical side though and have been going non stop on doing various pinball things for people. To help get back into the swing of regular updates again, I’ve decided to start tracking the next machine in the queue since it’s so fresh in my mind. This next machine I’m working on is one I’m extremely excited about. 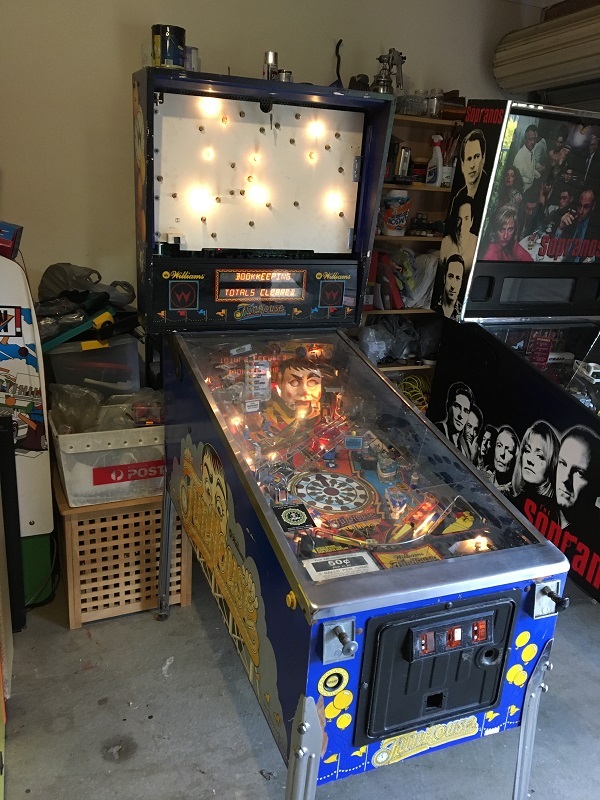 This time I’ll be doing a repair & service on a “Funhouse” from Williams pinball. Released at the end of 1990 and over 10,000 units made, it’s a game I’ve been really looking forward to working on since the owner mentioned it to me a few months back. As with a number of my previous write ups, this isn’t a fancy restoration, nor a basic service as it sits somewhere in between. I’ll be working my way through each assembly and playfield part on the machine, cleaning and repairing as I go. Various things will get a face lift while staying within a budget. The game is quite dirty (although I have seen much worse) but is in a mostly working state.